Do you currently use ERM software? ERM software — also known as enterprise risk management software or risk management information system (RMIS) — is a critical tool for financial institutions due to federal and international regulations, but it’s also found in the insurance, healthcare, and retail sectors. ERM software often includes features that help businesses plan for technology threats like DNS and DDoS attacks (where bad agents try to access personal data information or shut down websites), but the best risk management software platforms also identify and assess dependency risks that could derail part or all of a planned project. Risk assessments are designed to quantify risk and its potential effect on a project or business’s major goals. The identified risks are classified as acceptable or unacceptable, and the team and managers can implement a plan to mitigate the disruptions or alter course as needed. Continuous input along a project’s lifecycle will help lower risk levels and equip teams to act faster. ERM software is mostly used by financial analysts to identify monetary distractions in relation to projects and business objectives, but it’s also a popular tool for project managers, software engineers, and legal specialists. This guide is designed to provide an overview of the types of risk management software currently available on the market and how those platforms can help businesses improve processes and increase stability. You’ll also find information on how to pick the best RMIS for your industry or company and a case study demonstrating the software’s use. Software breaches grew by 40 percent between 2015 and 2016, with business security risks leading the pack for two years running and outstripping medical, government, and banking institutions. Data breaches are not the only risk associated with doing business, but with the implementation of cloud software and the rapid increase of personal information stored in databases, data breaches are quickly becoming a security priority. The drop in banking and financial breaches is due, in part, to regulations put in place to deter hackers and bad agents from attacking those institutions. This has led in turn to the growth in the risk management software industry, as businesses and financial institutions must maintain compliance. Reduced risk also minimizes income lost to wasted time and resources on reactionary measures after a breach occurs. 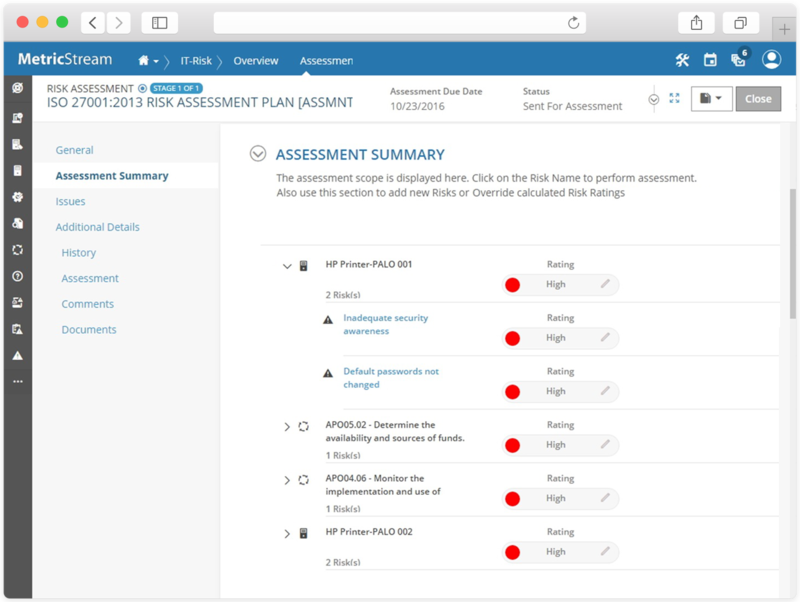 Businesses in every industry have recognized the value of risk management software, and it has grown in popularity because of its ability to reduce costs and help teams stay proactive. This software keeps teams from working in a reactionary manner to problems as they arise. Many software and IT project management tools are built with internal risk management systems or with risk management protocols in mind. 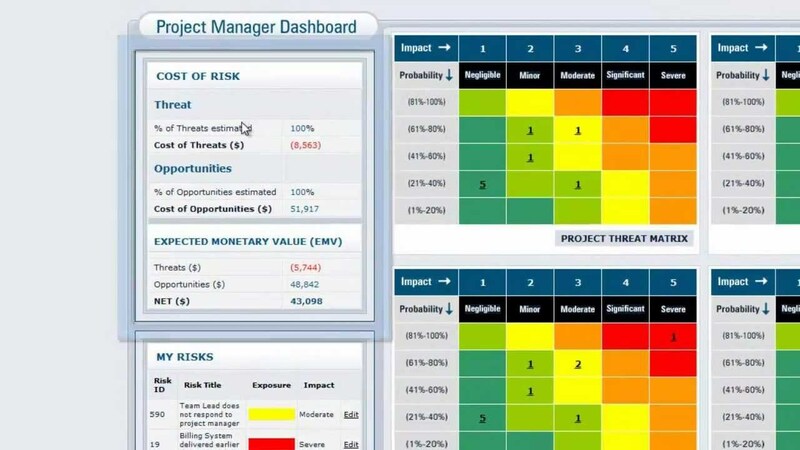 These software tools help teams understand and assess possible risks in funds and workforce allocation as they pertains to IT and development projects. This includes ensuring that team members don’t have too much on their to-do lists and assessing information and data security. Legal: Legal firms and internal legal departments use risk management software to assess business risks when building contracts and agreements with vendors. These tools can also create risk models to demonstrate insecurities in accordance with government regulations and intellectual property. HR and internal audit departments ensure that business resources are used to their fullest potential. Risk management software helps these departments understand over and under-utilized staff, project costs and inefficiencies, and financial risks associated with vendor and customer relationships. Financial: Financial institutions and internal financial departments use risk management software to understand regulatory and internal threats that might increase fees from legal recourse or regulatory fines. 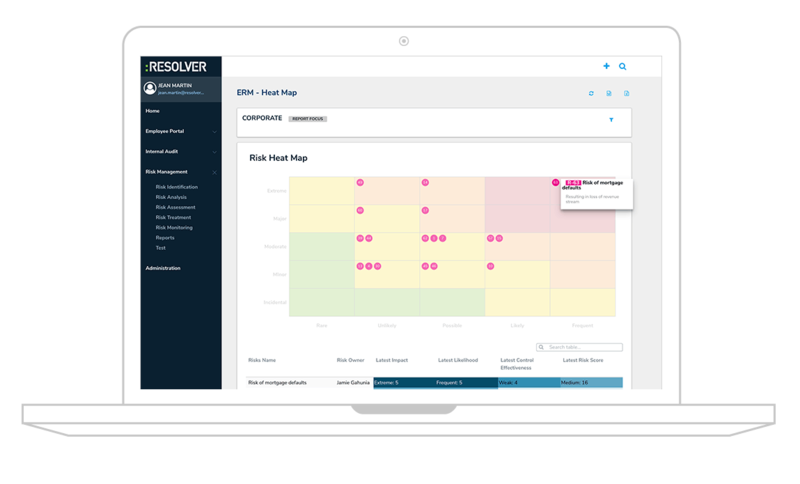 This software is also used to predict and respond to how internal and external business threats affect projects and businesses as a whole. Data from risk management programs can be instrumental in detecting financial fraud and credit risks. Identification: Software that provides analytics and processes for identifying risks according to company input and existing models. Input can take many forms, from manual data entry to API connections and existing resources. Assignment: Features that determine the outcomes of the identified risk and assign a monetary value for that outcome based on known business factors. Other metrics in assignment include loss of time and regulatory concerns. When connected to other business applications like accounting and contract management software, businesses can determine the total loss at stake and the value of avoidance. Prioritization: An RMIS will usually provide an ongoing overview of potential risks, including the increases and decreases of risk value according to dependent factors. These features are often viewed through a dashboard or timeline. Response Planning: Should a response become necessary, the proper steps and actions by all stakeholders should be documented for audit and future use in similar cases. This part of the software should include document management systems with annotation capabilities. Response Implementation: These software features help organizations implement a risk plan should a risk require action. The proper execution tools, connections to legal and contract management tools, and document management are all included in this portion of the software. Connections to accounting, security, and project management tools are also helpful. AGCO is a global agricultural equipment manufacturer and distributer with supply lines and distribution hubs across the globe. AGCO needed a risk management solution that would allow their teams to work outside of financial statements and reports and respond quickly to threats and problems along their supply chain. Riskmethods’ supply chain risk management solution provided AGCO with an interactive view of their entire supply chain, including dependent suppliers, materials, and contacts. Choosing the best ERM software for your business requires careful planning based on your existing technology and the compliance landscape of your industry. Many businesses will find that a standalone option works, but may not scale with a growing or more mature business. ERP platforms that include risk management features may also be a good solution for larger companies that don’t want to implement and pay for separate systems. Our Technology Advisors can help you choose an RMIS that works well for your organization. Use our Product Selection tool to filter products based on your needs, or call us for a free consultation. Banker, Steve. “New Solutions for Supply Chain Risk Management: A Case Study.” 2 Dec. 2015.